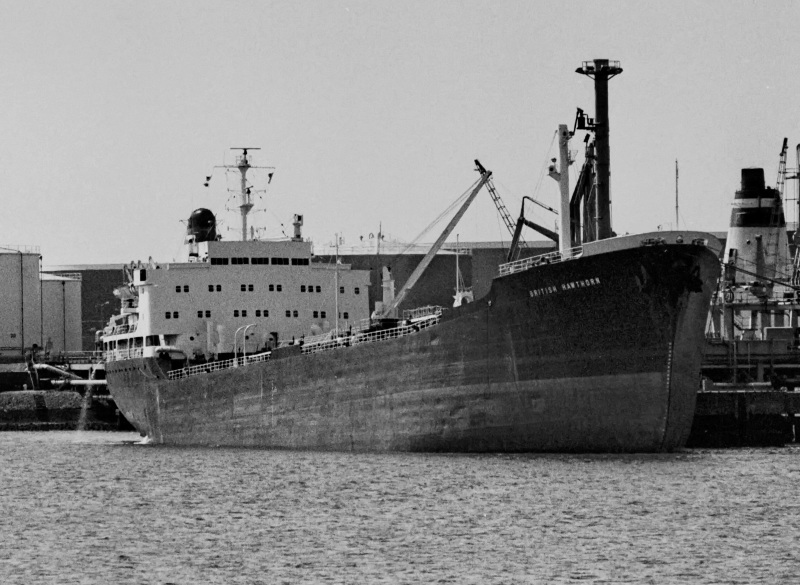 Delkivered by Hawthorn Leslie in October 1964, the aptly named HAWTHORN was one of the first of the all-aft generation product tankers, introduced by BP in the mid sixties. Shown here at the Shell Europoort, with the funnel of a Russian Sofia class tanker to the right. Early eighties. She left the BP fleet in 1983, and was finally broken up at Alang in 1996. This photo has been shown 285 times since it was added to the site.